Tottenham Hotspur Football Club has revealed it would tear down parts of the Olympic Stadium should it win its bid against West Ham United to take over the stadium after the 2012 Games. The Barclays Premier League club has argued that it would make the changes as it feels many of the seats would be too far away from the pitch. "We may be taking some elements to Crystal Palace for its redeve­lopment." 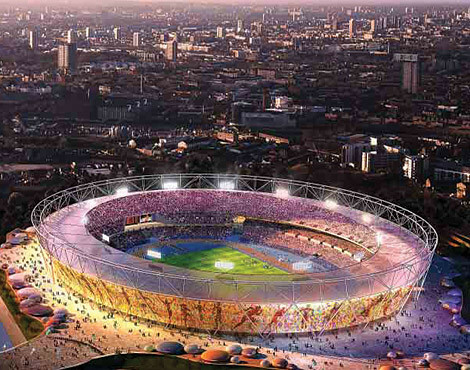 Keirle added that the Olympic Stadium would offer better value for money for the club as it gets more for its investment as opposed to regenerating White Hart Lane. But Spurs’ plans have drawn criticism from UK Athletics chairman Ed Warner, who said: “They have confirmed their intention to demolish the Olympic stadium. Rivals West Ham United FC has said it would reduce the stadiums capacity from 80,000 to 60,000. The Olympic Park Legacy Committee (OPLC) will recommend who will take over the stadium by January 28th.